During three years we have been supporting the Tempus project NEFESIE that aims to enhance innovation and entrepreneurship among Ukrainian IT students. 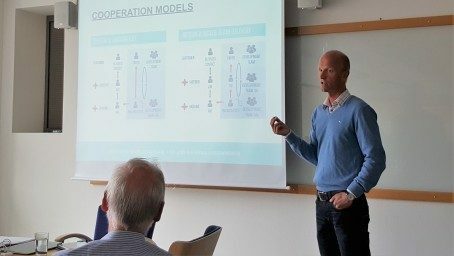 Last week we had a final meeting with the Tempus partners, leading tech universities, in Växjö. Sigma’s ambition is to contribute to the project in the future helping more talented technical students in Ukraine create their first success stories. During the meeting Daniel Björkman, Vice President at Sigma Technology Solutions, shared best practices in selling in Sweden, while Niklas Malmros steered the discussions about IT Eureka contest (annual innovation projects competition in Ukraine) that Sigma will drive from now on.